ST. LOUIS 2/13/12 – The Occupy the Midwest Regional Conference will take place March 15th-18th in St. Louis, MO. A press conference will be held on Wednesday, March 14th, at 2pm in Kiener Plaza. 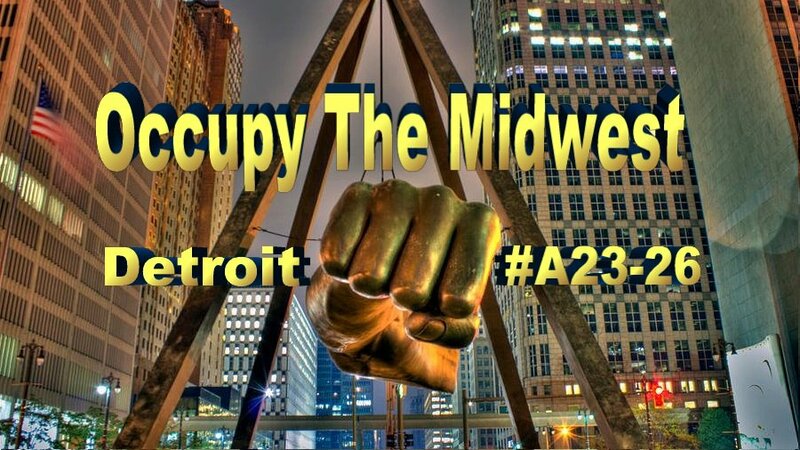 Speakers will discuss the purpose, logistics and activities of the gathering, what Midwest Occupations hope to gain from the convergence, and the future plans of the national Occupy movement. During the conference, Midwest Occupiers will stage non-violent direct actions to draw attention to corporate criminals in St. Louis and around the region whose policies and products harm the 99%, putting the future of our country at risk. Workshops will include an info session from Occupy Our Food Supply on BigAg giant Cargill Inc., and a non-violence training from Starhawk, global justice activist and organizer, and author of twelve books, including The Empowerment Manual: A Guide for Collaborative Groups. Friday’s Keynote speakers will be Percy Green, who has fought for over four decades for equality and Black inclusion in St. Louis, and Matt Gonzalez, a politician, lawyer, and activist prominent in San Francisco politics currently serving as Chief Attorney in the San Francisco Public Defender's office.